Much like golfers work on mastering the perfect swing, it is important in the Spinning® program to work on form and fluidity. Eliminating unnecessary movements will maximize the efficiency of your workout and leave you energized instead of fatigued. It’s the subtle improvements in your form, fluidity, pace and rhythm that will increase the benefits of each class you take. Can you perform the movement on a road bike? If not, don’t do it! Is there a better way to accomplish the same goal? Does the movement seem to have a physiological function, or is it just used as choreography? Is the movement safe and efficient? Does the movement feel natural? Does the move feel safe on your joints? Pay attention to your knees, elbows and lower back. First, if you did any of these moves on a real bike, you’d fall off! There is no increased benefit to moves like crunches or push-ups on the bike, so why not perform these correctly and more effectively on the ground or a stability ball? Besides being awkward and increasing the potential for joint and soft tissue injury, these moves place the upper body in a stressful position relative to the lower body. An exaggerated movement may cause your back and neck to move laterally while your legs are being driven in a linear circle by the fixed-gear pedal system. 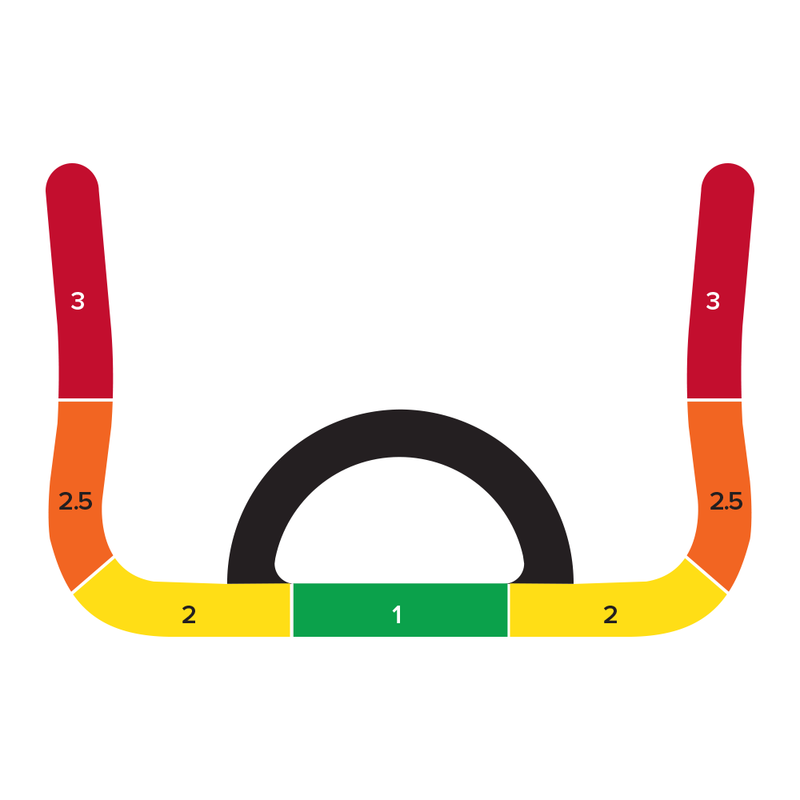 Riding seated in Hand Position 3 might seem perfectly harmless, particularly since elite cyclists ride in a similar position using aero bars. Since triathletes have custom-fitted bikes with shorter top tubes, they can stretch into this position comfortably. On the Spinner bike, this hyper-flexed position may strain the back and can be uncomfortable, particularly for shorter individuals. Whether you’re doing a Standing or Seated Flat or Climb, riding with only one hand, or no hands at all, causes the rider to lose connection with the bike. When riding unsupported, it is difficult to maintain constant pressure throughout the pedal stroke; the rider can only mash downwards on the pedals. Riding with one or no hands is especially dangerous at a high cadence (110 RPM) or heavy resistance with the body leaning forward (as in a sprint). This position places considerable torque on the lower spinal disks. Also, if you’re riding with only one hand on the handlebars during a Standing Climb and that hand slips, you could fall onto the handlebars or flywheel. Similarly, if the foot slips off the pedal, it would be hard to steady yourself, which may also cause severe injury. Isolating the lower body while pedaling might feel like a great exercise for the quadriceps, but it can place undue strain on the knees and spine. Instead, try a hill climb in Hand Position 2. Do not pedal backwards or with one foot out of the toe cage or cleat. Pedaling with one leg is an advanced drill that elite cyclists practice on trainers—not fixed-gear bikes like the Spinner bike. On a Spinner bike, these drills have absolutely no benefit, since muscles work the same and burn equal numbers of calories pedaling forward and backward. Jumps are effective and challenging, but when they’re performed too fast, they don’t do any good. Since the focus of Jumps is to create smooth transitions between seated and standing positions, the key is proper speed. If Jumps are performed too quickly, the exercise is ineffective. Riding at a high cadence without resistance is ineffective on a Spinner bike. Instead, ride at 110 RPM or less. If you begin to bounce in the saddle, increase the resistance. Riding at a consistent pace with good resistance develops power, strength and endurance. Remember, the Spinning® program is easy to follow and designed to help you achieve your training goals. Use common sense and you’ll be riding injury- and pain-free for years to come!